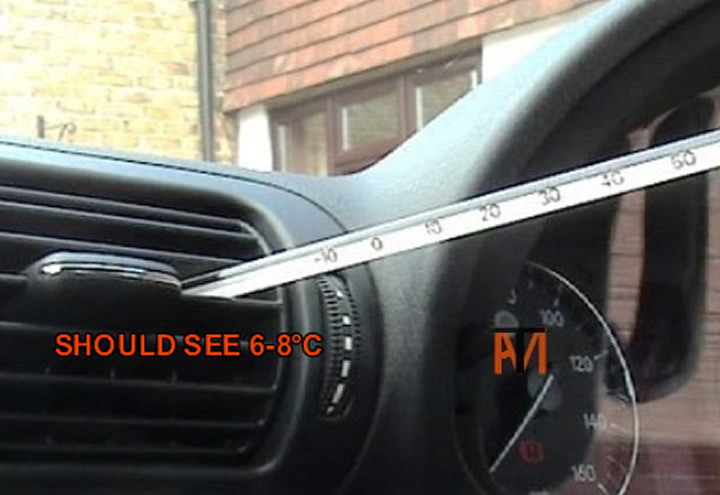 To carry out a simple vehicle air conditioning test all you need is a thermometer, this can be any thermometer that can be inserted into one of the center face air vents, however a digital one is quicker to read and more accurate. You should see a reading of below 10°C, but on a normal day with the outside temperature at 15-20°C you would expect to see 6-8°C. If the temperature does not drop, make sure the magnetic coupling(see picture) makes, a good click and turns when turning on the air conditioning (the electric cooling fan should also start),if not check fuses, switch and wiring to the compressor. Note the compressor won't run if low on gas (high/low pressure switch). If the magnetic coupling clicks, check for damage to hoses and the condenser (looks like a radiator), also look for oil stains around joints and gaskets where refrigerant has been leaking making A/C pressures down. 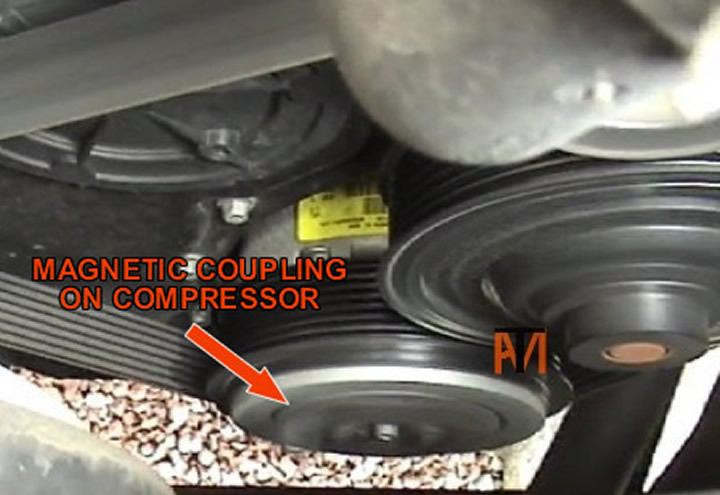 Is the compressor noisy? If so depending how badly, you may get away with a system flush and a re-gas. If it only drops the temperature a few degrees it probably needs re-gassing, unfortunately the only proper way to do this is with a air conditioning machine as the refrigerant is evacuated and refilled by weight although you can add refrigerant, from an aerosol by pressure, however overfilling can cause damage, I would only recommend this method for diagnosing a leak, you can add dye at the same time, to find the leak.